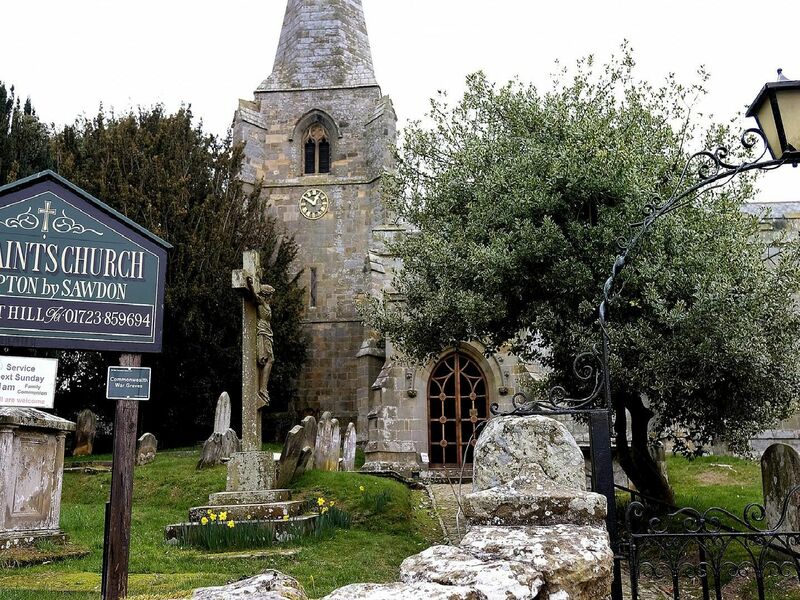 Sir George is considered the inventor and pioneer of, among other things, flight, and the poet married his childhood friend Mary Hutchinson at All Saints’ Church in the village. Evidence of their lives and achievements are celebrated and recorded in the church and its environs. The variety of daffodils Lobularis which inspired Wordsworths poem I Wandered Lonely as a Cloud have been planted in the churchyard. ''The poem runs: 'I wandered lonely as a cloud'That floats on high oer vales and hills,'When all at once I saw a crowd,'A host, of golden daffodils;'Beside the lake, beneath the trees,'Fluttering and dancing in the breeze. Dr Mary Jones said: It is known as the village window. There are swifts, swallows and mallards, which are plentiful in the village, Low Hall, Brompton Hall, where Sir George lived, and the cricket field which is just the same today.